Chinese Herbal Hair Loss Remedies - Yes or No? 8 Herbal Hair Loss Remedies: Yes or No? Not all herbal hair loss remedies are worth trying. Some do nothing at all. Others can even cause nasty side effects. But there are a few herbs well known to have a beneficial effect on hair growth. Aloe vera – Good for the skin, but what about hair? Chinese herbs for hair loss - He shou wu and tongkat ali. Herbal teas - Nettle and Green Tea. 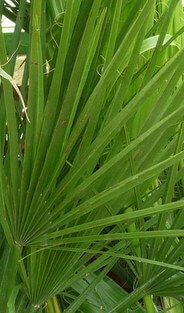 Saw palmetto – The most well known herb used for hair loss. Basil, lavender & rosemary - Simple to buy, grow at home and try. But, do they work? Comparison chart – Quickly compare how all these herbs try to help hair regrowth. The reason why this herb is used as a remedy for hair loss is because it helps repair the epithelial surfaces of the body. The epithelial surfaces include the lining of the digestive tract (which is why drinking aloe vera juice is often used for digestive disorders) and the skin: when applied to a burn or wound, aloe vera gel can speed up the healing process by up to 30%. So, since hair grows from the skin, it makes sense that aloe vera’s therapeutic properties might also benefit hair regrowth following hair loss. Salicylic acid - This can reduce inflammation. And inflammation affecting hair follicles is something that’s been implicated with hair loss. Salicylic acid also has anti-bacterial, anti-viral and anti-fungal properties. And this anti-fungal action might treat a type of yeast (fungus) that can proliferate in the scalp - you can learn more about this yeast in my Nizoral shampoo review. Serine carboxypeptidase – This is an anti-inflammatory enzyme (enzymes basically speed up reactions inside the body). Vitamins, minerals & amino acids - These include vitamins A, B, C and E, the minerals copper, iron, magnesium and zinc, and most of the amino acids we need. There are other nutrients too, but all those listed above are well known as being beneficial for hair growth. Learn more about vitamins and minerals for hair growth? 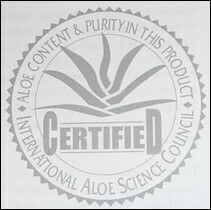 In total, aloe vera contains over 75 substances. So it's possible that a combination of these give this herb its potent properties. Aloe vera also has a vasodilatory effect - It widens blood vessels near the skin surface giving a red "flushed" appearance for a while after it’s applied*. And clearly that's something which has the potential to enhance the blood and nutrient flow to hair follicles. * I’ve used aloe vera gel myself for cuts and burns, and can confirm that as long as you have a high quality product, the aloe vera will definitely produce this red-faced look. Of course, exactly how much aloe vera helps, all depends upon how well it can penetrate the skin and find its way down to the hair roots (i.e., at the base of the follicles about 4 mm beneath the surface of the skin). There may be plenty of natural substances (or man-made creams and lotions) that have the potential to help with hair regrowth, but that's no good at all if they do little more than sit on your scalp when applied topically. 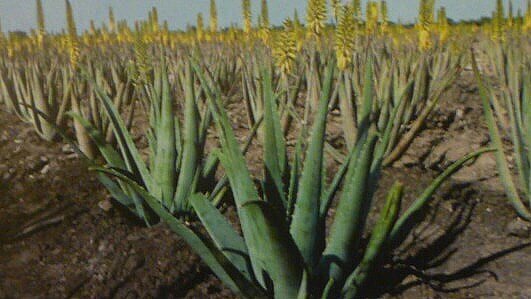 Fortunately though, aloe vera does penetrate the skin rather well. So that's probably one of the main reasons why it can speed up skin healing. As for hair care, aloe vera is a very popular ingredient in many natural hair loss remedies, especially shampoo products. Which strongly suggests it might help tackle hair loss. However, that doesn’t necessarily mean it can stimulate new hair growth - about 40 studies have praised aloe vera for one or more of its medicinal properties, but unfortunately not one of these involved using aloe vera as a remedy for hair loss. Traditional Chinese medicine (TCM) has been around for a very long time – thousands of years. Which, of course, is plenty of time for these ancient gurus to come up with some decent herbal hair loss remedies that really work. So, two well known Chinese herbs are detailed below (each with a word of warning) as well as how my own experience of TCM turned out. Of all the self-prescribed Chinese herbal hair loss remedies out there, he shou wu (also known as fo-ti) is probably the most widely used. It's also very popular as a treatment for gray hair restoration. He shou wu is said to help with liver function, which includes cholesterol and protein synthesis - something that can have a positive effect on the quality of the blood supply. So this is most probably how it helps hair grow. However, paradoxically, he shou wu can also cause liver damage in some people. Clearly then, if you were to try it, you’d have to be very careful about how much you take. And that may be especially true if you try Shen Min products. That’s because the powdered root extract of he shou wu forms the basis of all products in the Shen Min range. Now, at first glance, that might strongly suggest that it’s a vital ingredient you couldn’t possibly do without if you want to save your hair. But, not if it damages your liver! If you were to take multiple Shen Min products (as they suggest you do) then the high accumulative dose of this herb over time might just put you at greater risk of developing side effects you really could do without. You can learn more about he shou wu in my product review of the Shen Min DHT blocker. 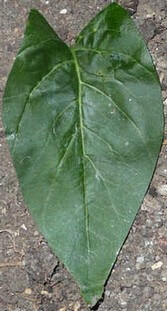 Tongkat ali is another popular TCM herb, albeit not really used as a remedy for hair loss. 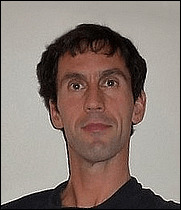 However, it’s included here to demonstrate how unsupervised, self-prescribed herbs perhaps taken for an entirely different reason (to increase libido by raising testosterone levels in the case of tongkat ali) can have a detrimental effect on your hair. If you take a look at the testimonials page you’ll see an email from one of my customers who explains how tongkat ali made his hair loss worse! Always see a qualified TCM practitioner – They’ll look at the "big picture" and be able to prescribe what’s specifically right for you with high quality herbs, and then supervise your progress. It didn’t work at all! Much later on, I visited him again and tried another Chinese herbal remedy. Again, not for hair loss (that’s something I have firmly under control as you’ll see further down the page). And it wasn’t stewed up branches either. This time it was herbal supplements – multiple packs of tiny dark balls like those shown below. But, again, unfortunately there was absolutely no benefit. So, overall then, my personal experience of TCM was not good! There's no doubt that seeing a TCM specialist does help some people. But, be warned, you might have to eat, drink or swallow whatever concoction of Chinese herbal hair loss remedies you're given before eventually learning that it might just have been a complete waste of time! Herbal Teas – Can You Drink Your Hair Loss Away? Certain herbs lend themselves very well to the tea-making process. And they also contain substances that can help in your fight against hair loss. 1. They contain DHT* blocker substances: green tea due to its high concentration of polyphenols, and nettle because it contains beta-sitosterol in its roots. * DHT (dihydrotestosterone) is the hormone most often associated with hair loss. 2. They have an anti-inflammatory effect: again, this is due to the polyphenols in green tea and the beta-sitosterol in nettle roots. Note that beta-sitosterol is found in the roots. This means that making nettle tea from the leaves (as is usually the case) will not be as beneficial for your hair. Whilst it’s obviously good news that these types of herbal tea might help your hair, the bad news is that you’ll probably need to drink loads every day to experience any real effect. So you might prefer to take a highly concentrated supplement instead. If you do, look for a nettle supplement with extracts from the roots, and a green tea supplement containing a high dose of polyphenols: note that these are also known as flavonoids or catechins, and there’s one in particular (called epigallocatechin-3-gallate) which appears most abundant and active in green tea. Probably the most popular herbal hair loss remedy, saw palmetto has found its way into countless products of every type (shampoos, supplements and topical solutions). So many in fact that, if a product claiming to be a natural remedy does not contain saw palmetto, it comes as something of a surprise! Its popularity reflects its ability to block DHT. 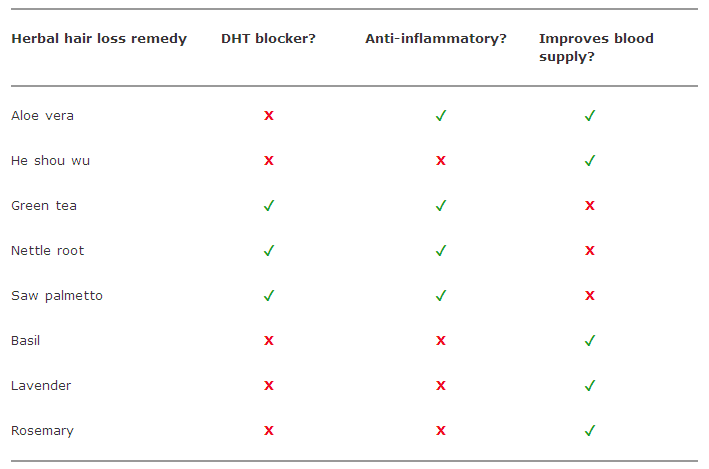 But, saw palmetto is not the only herbal DHT blocker. As you’ve just read in the previous section, green tea and nettle root are two more herbs with the same effect. And, similarly, they too often find their way into the formulation of many hair loss products. But beating hair loss is not just about beating DHT. If you read my story, you’ll see how a hands-on approach can have an incredibly beneficial effect on the growth of your hair. Note: It’s believed that saw palmetto might also assist hair growth by having an anti-inflammatory effect. Finally, since so many herbal hair loss remedies and products contain saw palmetto as the main active ingredient, its potential to regrow hair (as well as its potential side effects) are reviewed in the products section: Learn about saw palmetto hair loss products? Some herbs might help hair regrowth by boosting blood flow to the roots. And basil, lavender and rosemary are said to be three of the most effective herbal hair loss remedies because of their ability to do this. Trying out this idea would be very easy: fresh basil or rosemary from your local supermarket can be crushed to get some juice, and then simply dabbed onto your scalp. Or, dry herbs from an online or high street herbalist can be simmered in boiling water, strained, cooled and then applied the same way. Doing this might stimulate circulation to your skin for a while, but it would only give a very short-term effect. So you’d probably need to keep doing this every day for months before you finally see any decrease in hair loss, or increase in hair regrowth. Another problem is that all these herbs are quite pungent. So some people wouldn’t be able to stand the powerful smell for too long. And you probably wouldn’t want to go out in public smelling like that either. 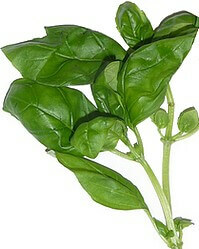 Not with basil anyway. Perhaps, lavender might be OK. Lavender has a nice aroma and is, after all, used as a fragrance in many cleansing and beauty products. But, I still don’t think too many guys would really want to smell of lavender as they go about their day-to-day lives. So it’s much more likely that most people would restrict using this type of herbal hair loss remedy to the night-time, and then shampoo it out every morning before they leave home. You could also try using the essential oils of these herbs (and other plant extracts) to get a much more concentrated dose. But, from my own experience, I wouldn’t recommend it! To find out why, read my essential oils for hair loss review. It should be noted that most of these herbs contain vitamins, minerals, amino acids and antioxidants which can also contribute to any health-promoting effects they have. Herbal hair loss remedy products can be applied either internally with tinctures, tablets and capsules, or externally using creams, lotions and topical solutions. So you can tackle your hair loss problem from both inside and out. Most of these products are promoted as being natural remedies. 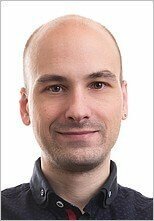 And this, of course, attracts the many people who do not want to use hair loss drugs (Rogaine and Propecia) which can cause unwanted side effects, cost loads, and might not even work. But many herbal products still contain man-made chemicals. So, strictly speaking, they're not entirely natural either. And these plant-based products can be quite expensive too (even comparable to the drug products) especially when you consider that you'll need to keep using them long-term (permanently?) to maintain any beneficial effect you get. Let's face it, hair loss products are expensive! It's bad enough buying just one, but you're more likely to keep trying more and more products in the hope that you'll eventually find something which actually works. And if you end up buying several herbal hair loss remedies like shampoos, topical lotions and supplements, over time the cost can be huge! Given then that some of these herbs might be easy enough to grow in your backyard at home, you might like to think about harvesting them yourself when the season is right. For example, you can collect nettles in the spring to make your own herbal tea, or grow lavender in the garden and pick it at the end of summer. Will All These Herbal Hair Loss Remedies Work? Some might help a bit, but unfortunately most will not. That’s because all these herbal hair loss remedies only focus on the symptom (hair loss) and not the underlying mechanism that causes it in the first place: skull expansion. However, the methods I used to successfully stop my own hair loss and restore healthy hair regrowth, do address skull expansion. And that’s why they work. Learn more about my techniques? My natural hair loss remedy.